The Sony FE 85mm f/1.4 GM is an outstanding prime lens for portraiture, offering a winning combination of sharpness and very appealing bokeh. Shooting at the maximum f/1.4 aperture does reveal a minor reduction in sharpness, but this is already resolved by f/2, and even at this aperture the lens is able to produce beautifully smooth bokeh and completely blurred backgrounds. Vignetting is apparent when shooting wide-open at f/1.4, but quickly disappears as you stop down, while chromatic aberrations are very well controlled. 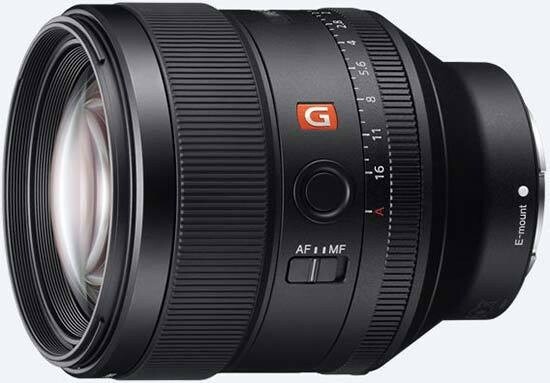 The Sony FE 85mm f/1.4 GM is also easy to use, thanks to its weather-proof build quality, smooth focusing ring, the de-clickable manual aperture ring, and the useful Focus Hold Button. When manually focusing the Sony FE 85mm f/1.4 GM delivered a very high percentage of keepers thanks to the A-series cameras' excellent Peaking feature, and it also proved to be quick enough and accurate when auto-focusing in good light. There are a few notable drawbacks to the Sony FE 85mm f/1.4 GM lens though. The auto-focusing system is pretty loud, making it making it less than ideal for movie shooting or for candid use in very quiet environments, and it also slows down and hunts quite a lot in lower-light conditions. The 80cm minimum focusing distance is a little restrictive, and at over 800g, it's also big and heavy for such a short telephoto lens. Finally, the asking price of £1500 / $1799 is an awful lot of money to pay for a prime lens, some £600 / $600 more than the Zeiss Batis 85mm f/1.8 optic, which is also an excellent lens. Still, if you earn your living from shooting portraits, we can heartily recommend the Sony FE 85mm f/1.4 GM as a very fast, super-sharp lens that also delivers fantastic bokeh - isn't that what every portrait photographer desires?